There may still be snow on the ground and commuting remains a dicey proposition some days but there are many sure signs indicating spring is just around the corner. Not only are the days getting longer and the sun is getting brighter, but the surest sign of all is that Leduc's Black Gold Rodeo Trade Fair folk have started accepting applications for booths at the 2015 event. As they say around these parts when hearing great news, "Yahoo!" Here's the Sound of Opportunity Knocking! 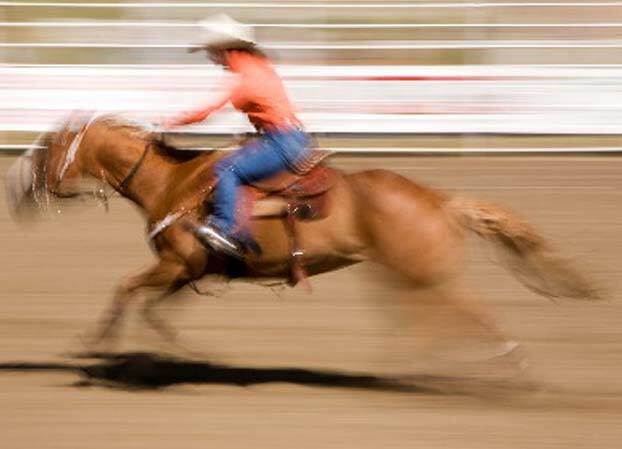 The reason for the excitement is that the rodeo's trade fair, being held May 29, 30 and 31, has become an annual institution for the City of Leduc and their county cousins. The region's savvy business community acknowledges the trade fair is the best way for small and medium companies to get their products and services in front of thousands of people for a reasonable price. In fact, compared to most other advertising avenues available, a booth may be the biggest bargain at the fair. Surprisingly, however, the price isn't the best part about the trade fair for the vendors; it's the massive amount of traffic. With live entertainment on the main stage, singing competitions, a beer garden and a wide variety of yummy food kiosks, the fair is more like a party than a trade show. There is so much going on; throngs of visitors flock to the venue every year. It's not just the trade fair that people are coming out to Leduc in droves for, of course. The Black Gold Rodeo itself attracts thousands of people from near and far. Many more thousands hit town specifically for the midway rides. Just the Saturday night cabaret features over 2000 frolickers. Additionally there are countless people at the many barbecues, pancake breakfasts, the Family Fun Fair, Pet Parade, and Rodeo Slack performance. Even the Cowboy Church service on Sunday morning draws a large crowd. If you want to be where the people are, Black Gold Rodeo Days is the place to be. 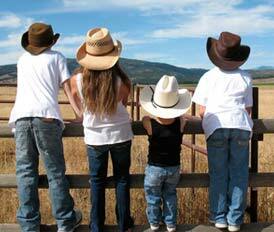 For a complete schedule of events, please visit our informative rodeo schedule webpage here. Don't Delay! Book Your Booth Today! Due to the remarkably fast sellout of booths last year, trade fair officials are advising interested merchants, craft workers and artisans to send in their booth application early to avoid disappointment. There are only 116 booths available and when they are all spoken for, they can't build any more. Also, organizers only allow for one vendor of a specific line; for example, only one Watkins. Amway or Tupperware dealer will be considered. Be first or be disappointed. Reserve your spot at the trade show while you still can. Leduc is a small community at heart with a lot of civic pride. People really notice who has a table at their fair. They also notice who doesn't. Be a part of it.